Students in Ms. Jackson's first grade class at Olympia North could hardly contain their excitement as they prepared to visit the butterfly garden to observe what was happening out there. Ms. Jackson and her class have been talking about and investigating the various stages of butterfly development. 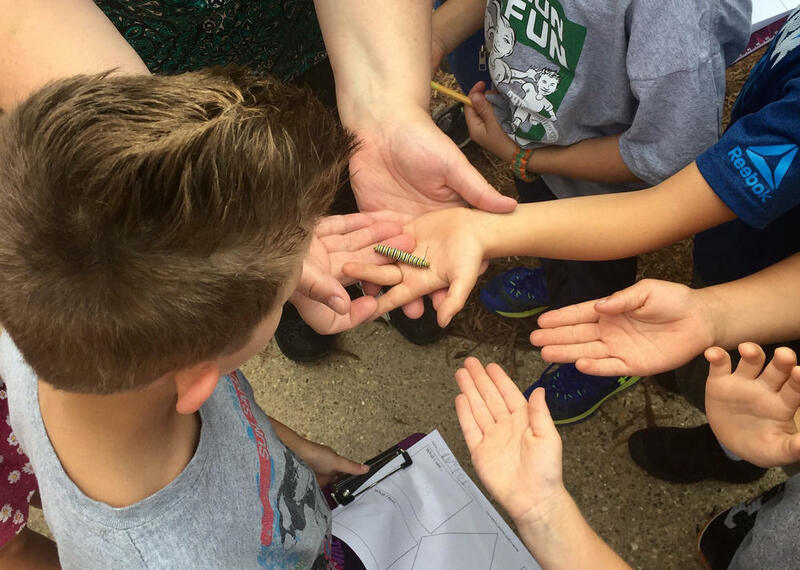 Prior to making their observations, Ms. Jackson asked the students to make predictions about what they were going to hear, see, smell and feel in the butterfly garden. Once the students were outside they began to make their observations and, of course, they were so excited to hold the caterpillars. Multiple caterpillars were seen. 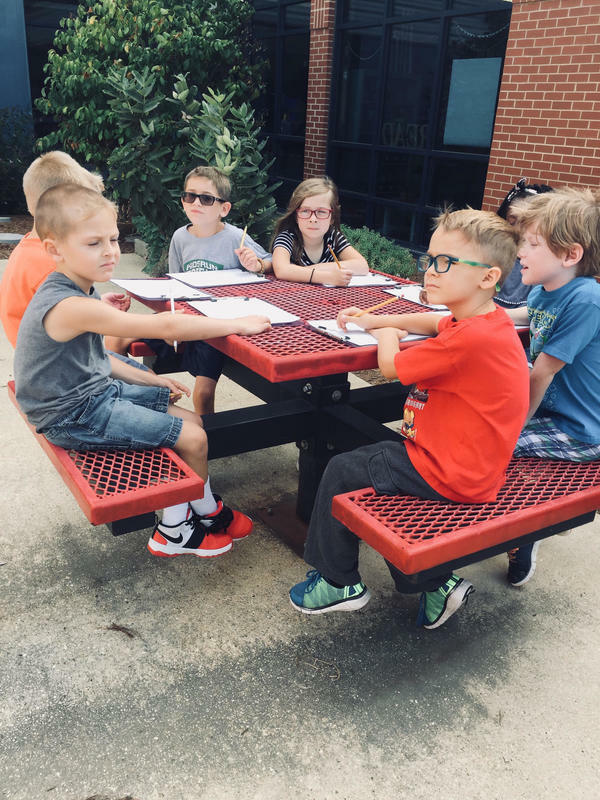 After making their observations outside, the students returned to the classroom to write about what they observed and tied that back to their predictions. It was a great morning in first grade - the questions the students had and the excitement they showed was energizing.